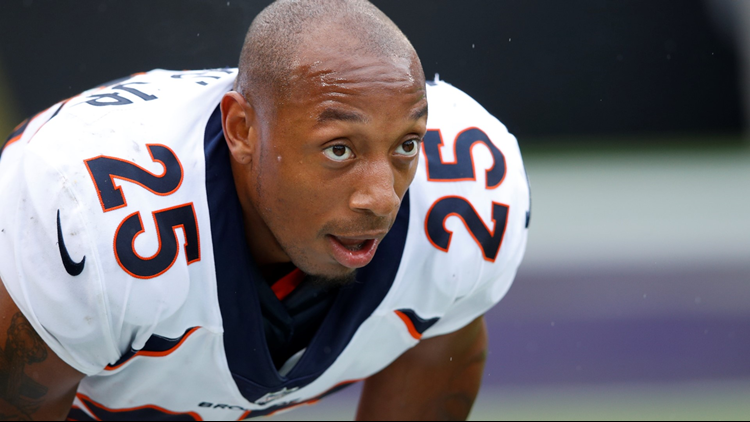 KUSA – If he gets the call to play in the Pro Bowl, Chris Harris Jr. will be ready. “I’m just waiting on the Patriots,’’ he said. Harris is the AFC’s first alternate Pro Bowl cornerback behind the elected Xavien Howard of Miami, Jacksonville’s Jalen Ramsey, New England’s Stephon Gilmore and Cleveland rookie Denzel Ward. If the New England Patriots beat the Kansas City Chiefs in the AFC Championship Game on Sunday in Arrowhead Stadium, then Gilmore can’t play in the Pro Bowl as it will kick off the Sunday prior to Super Bowl LIII on February 3. In that case Harris would be the next man up – and he will play despite a fractured fibula that caused him to miss the Broncos final four games of the season. Harris said he could have played the regular season finale against the Los Angeles Chargers, but there was no point as the Broncos were already eliminated from the playoffs. His x-ray the day after the season revealed the bone fracture had healed. The Broncos’ best secondary player, Harris said he’s happy with his team’s coaching staff shakeup from hiring Vic Fangio as head coach to probably Ed Donatell as defensive coordinator/secondary coach to probably Kyle Shanahan disciple Rich Scangarello as offensive coordinator. “Fangio is a real good coach,’’ Harris said. “And Champ (Bailey) said he liked Donatell when he had him as a DB coach (in 2010). Harris is under contract with the Broncos through the 2019 season.